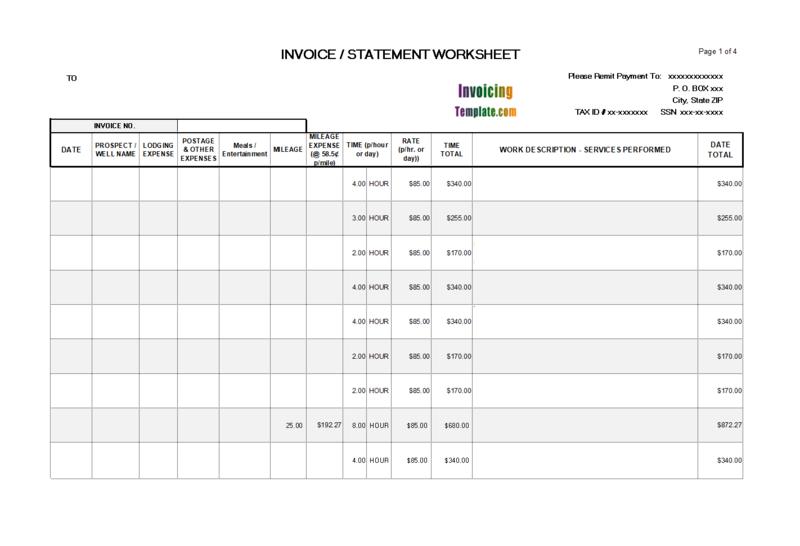 Invoice Template Libreoffice is a sub-topic of Invoice Format For Office . 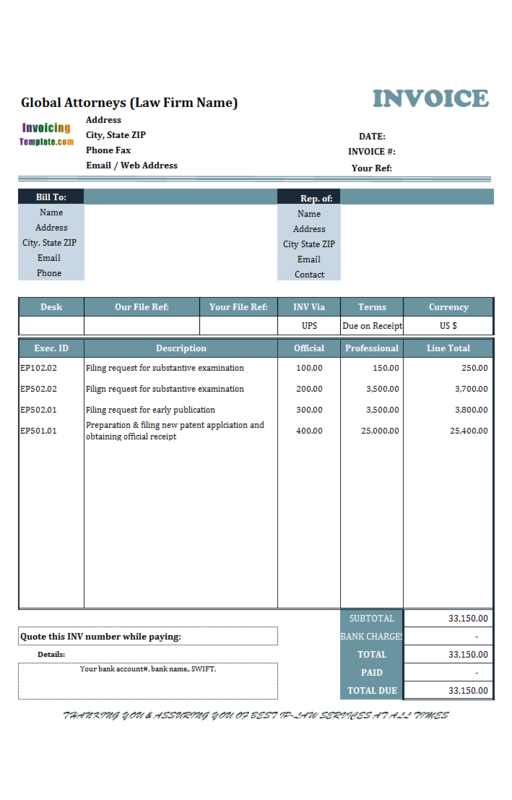 Here are our templates closely related to Invoice Template Libreoffice. 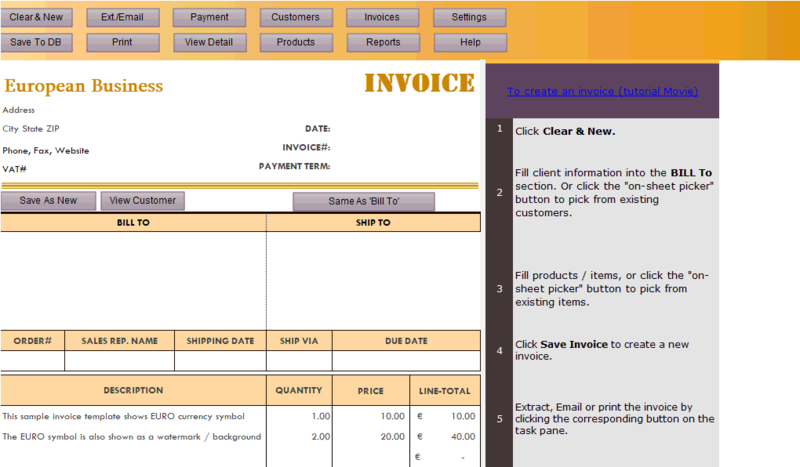 The background image we added to the template shows a business man checking for documents. 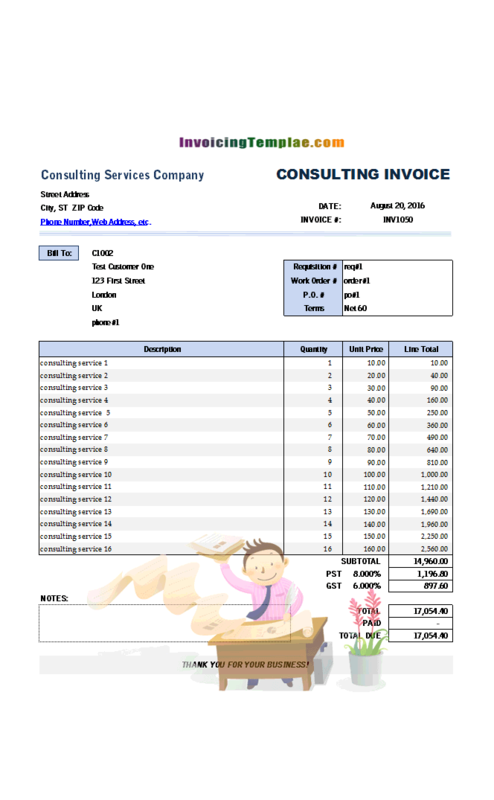 It shows on the printed version of your consulting invoices / bills, or on the PDF consultant bills generated by Invoice Manager for Excel (namely Uniform Invoice Software). 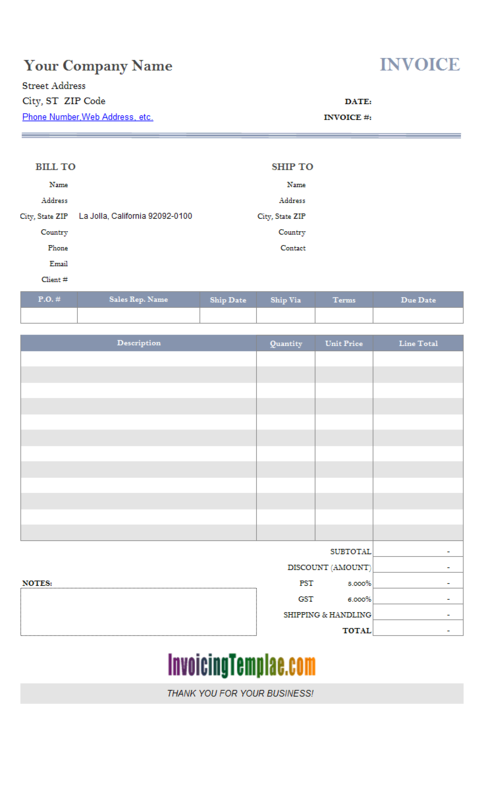 Like other templates available here on InvoicingTemplate.com, the most important job to do on creating this customized template from the default sales invoicing sample involves moving the cells around to create a new form design. 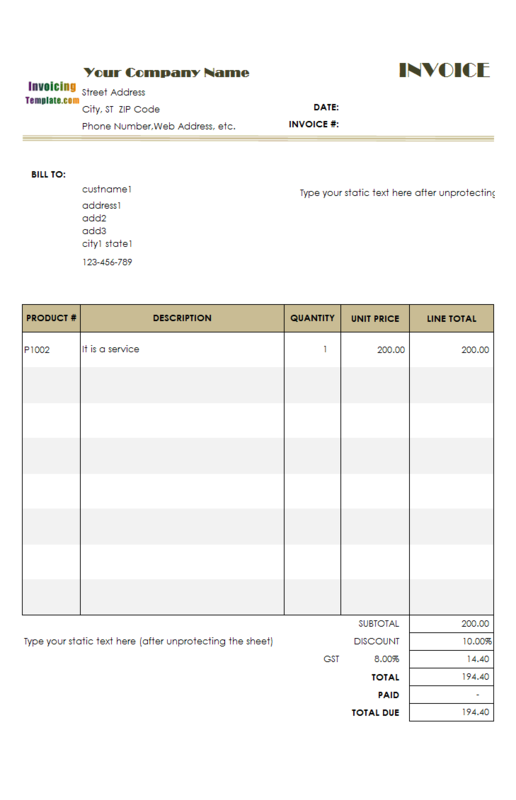 Microsoft Excel provides handy support for this type of jobs. 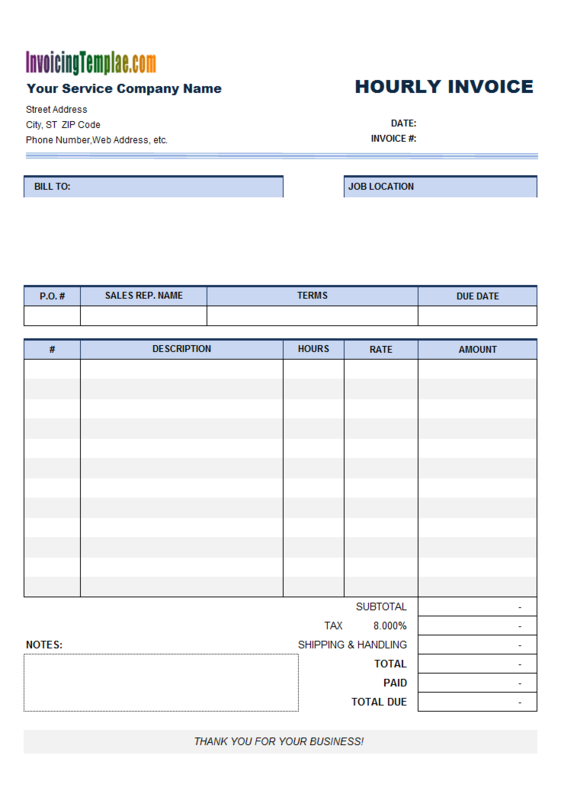 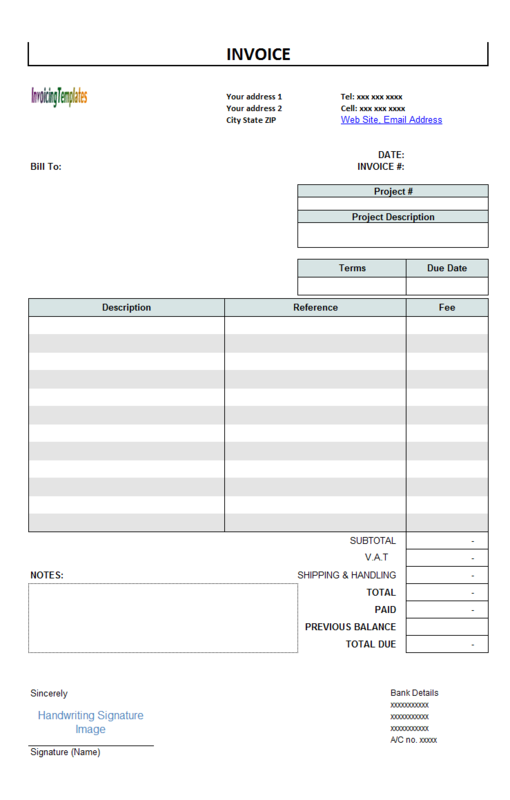 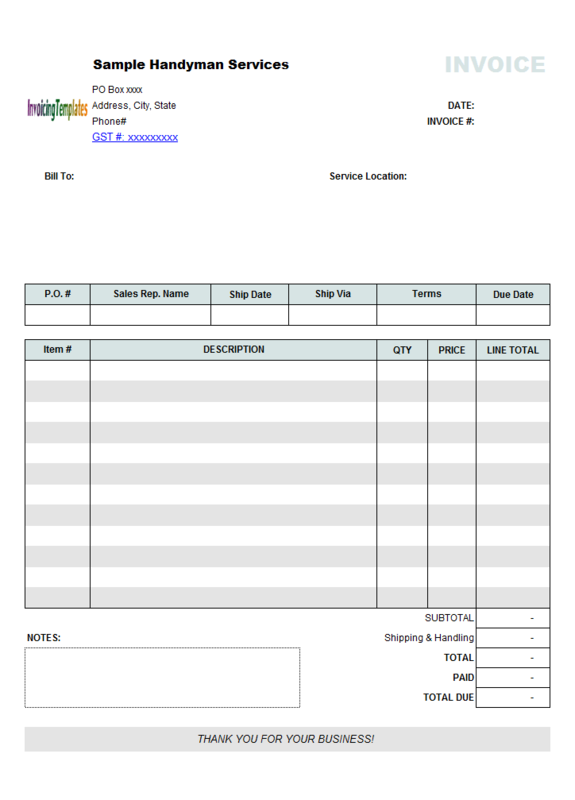 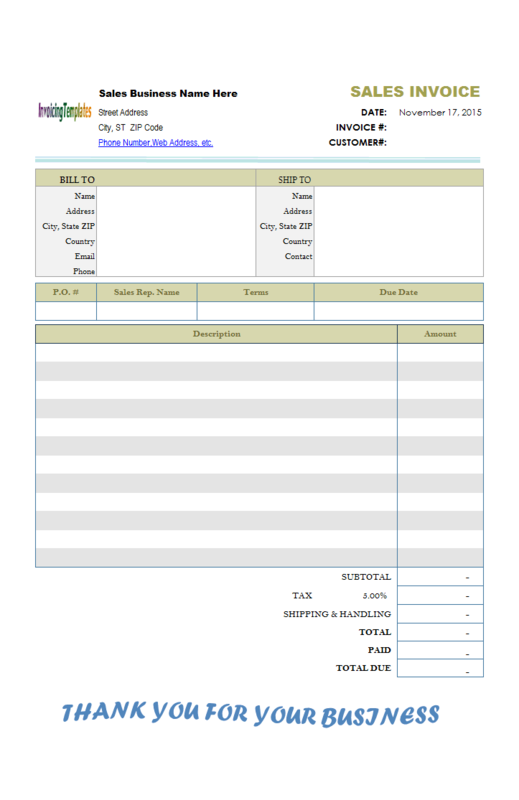 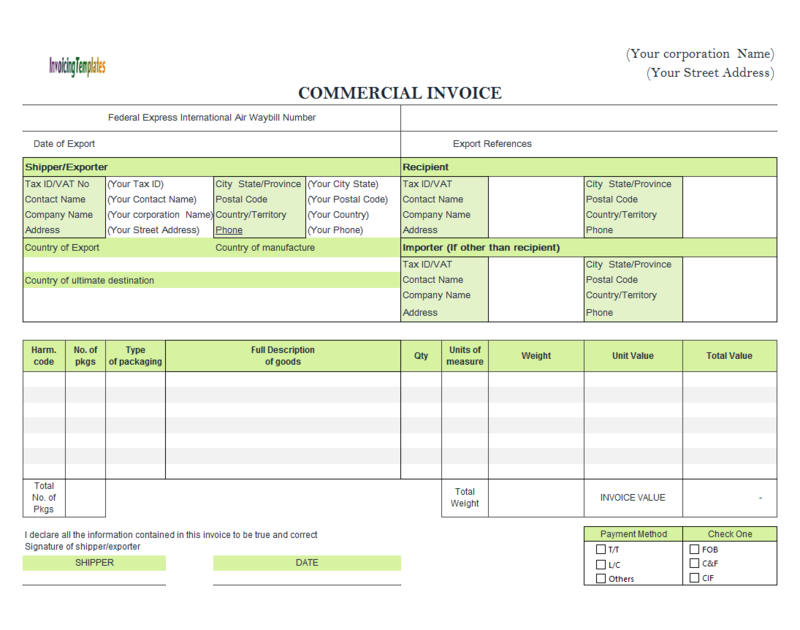 For example, this template design has 3 columns on the invoice body - Description, Reference, and Fee. 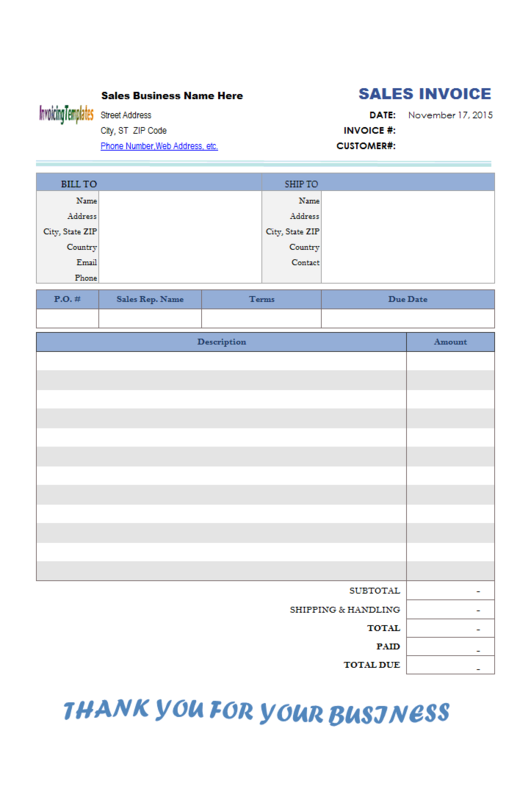 The Reference is a newly added column defined as custom fields (The definition of this custom field is added to the "Invoice Body" database table, so it becomes a column on the invoice body, but not a single cell on the invoice header or bottom). 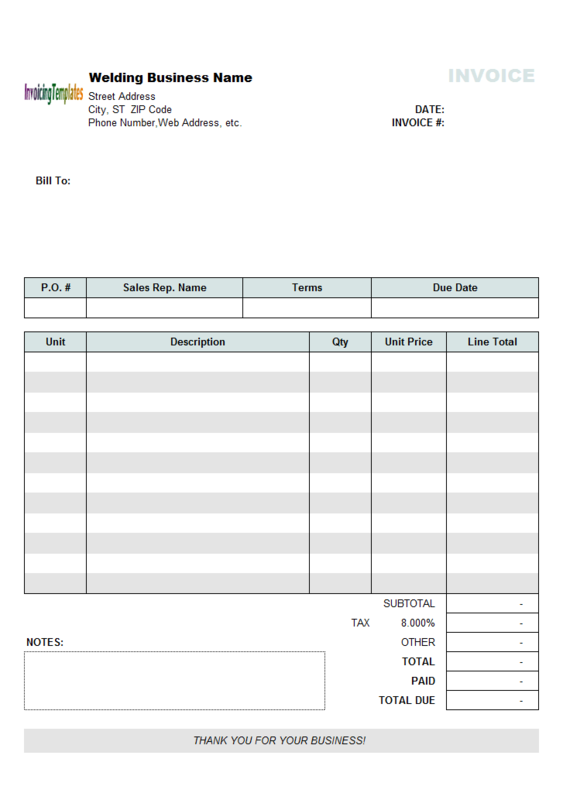 The "Fee" column, which is manually editable in this sample template, is actually the Unit Price column on the default sales invoice sample template. 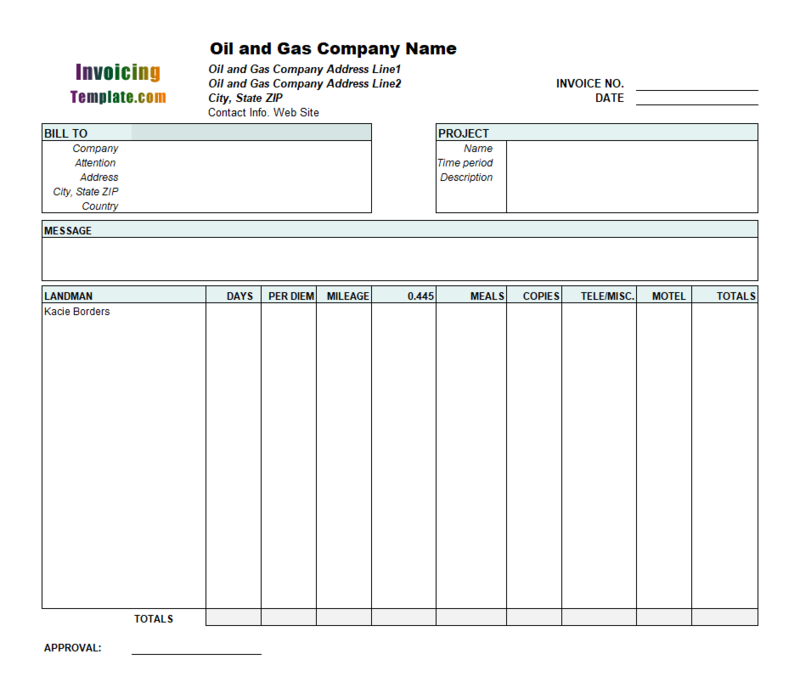 Compared to the default template, engineering service bill has the Product#, Quantity, and Line Total columns moved out of the printable invoice form. 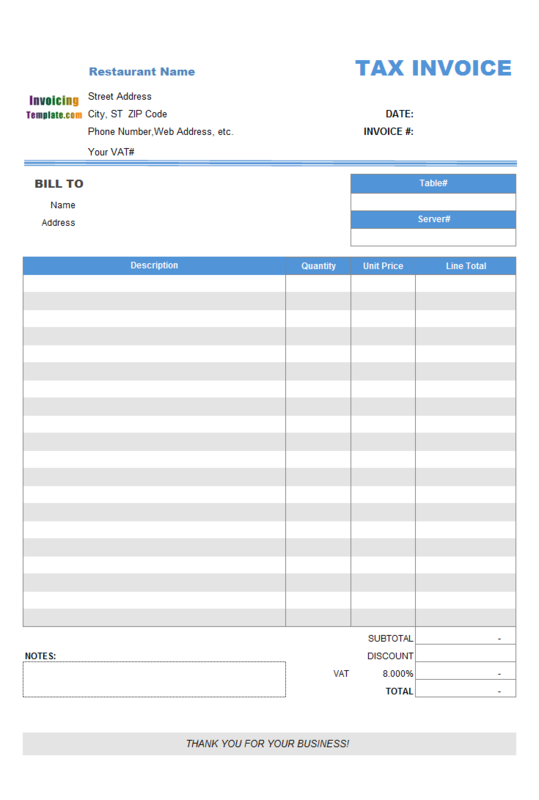 Unlike those service invoice samples that bill a client based on hourly rate or daily rate, by allowing to manually edit the Fee fields this invoice design becomes more general / generic that suits more business situations. 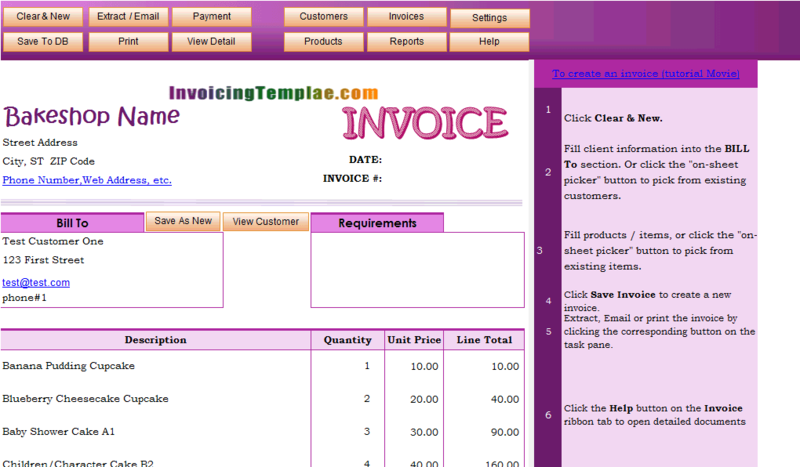 To add a checkbox to the commercial invoicing template, click "Insert" in the "Controls" group on the "Developer" tab. 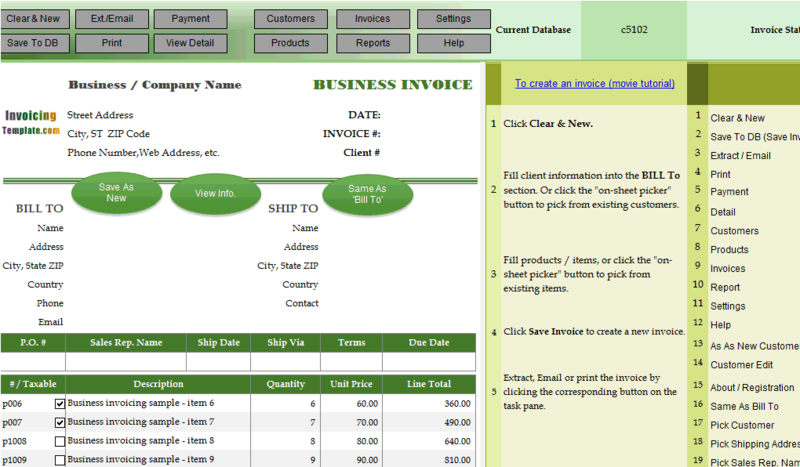 Choose the checkbox from "Form Controls" or "ActiveX Controls". 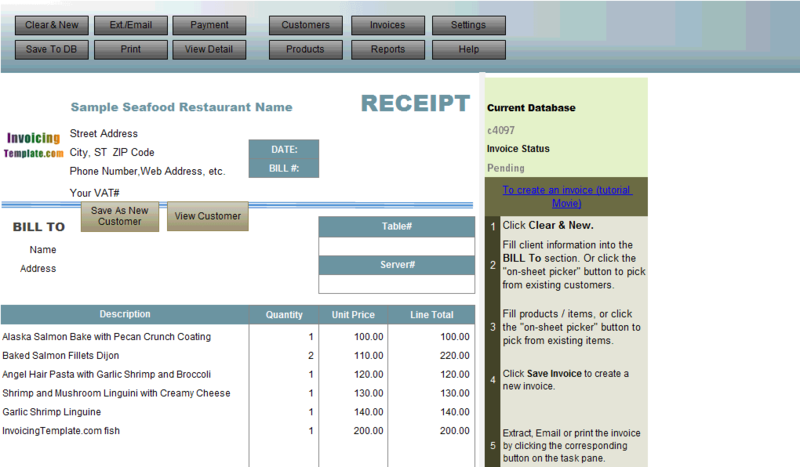 And then, click the location where you want to put the checkbox control. 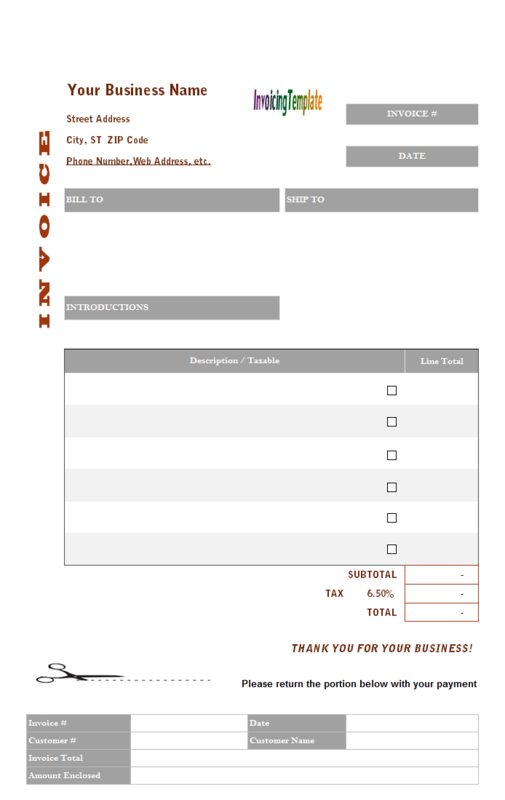 A new checkbox appears on the form. 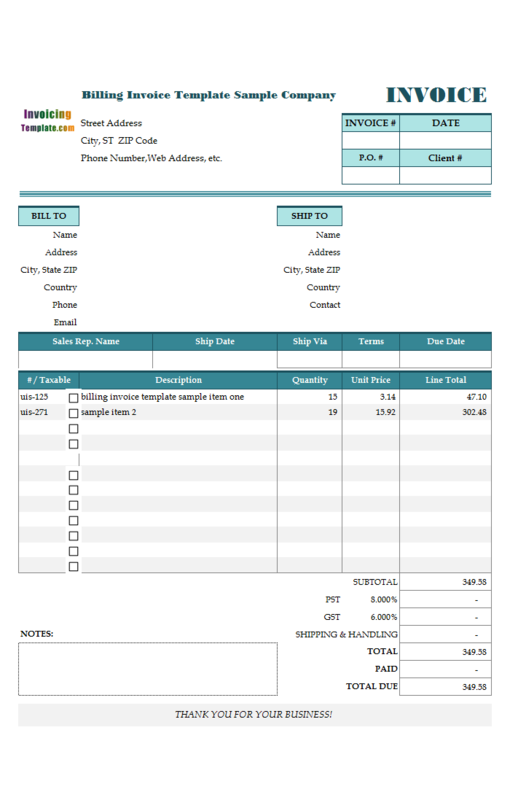 Change its label to "T/T", "L/C" or "Others".